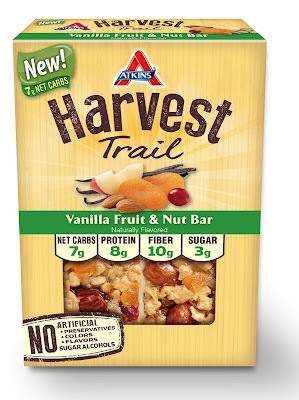 Snack on the Go with New #atkinsharvest Trail Bars! If you are like me, you need a snack that you can grab on the go or stick in your purse, pocket or stroller to eat on the go. If I don't have a healthy snack that I can grab and go, I usually start to crave something that isn't healthy or won't sustain me as I go through my day. 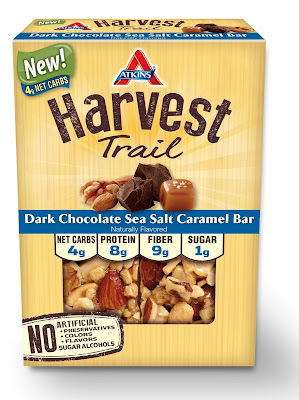 Well, lately I have been grabbing the newest product from Atkins Nutritionals — the Harvest Trail Bar and it not only tastes great but it keeps me going and is easy to eat on the go! The bars come in four flavors — all offering a simpler, low-carb snack with less sugar and lower carbohydrates than traditional nutritional bars– including Dark Chocolate Peanut Butter, Dark Chocolate Sea Salt Caramel, Dark Chocolate Cherry & Nuts, and Vanilla Fruit and Nut. The bars are full of good ingredients, including nuts as the first ingredient, and my favorite part: NO artificial colors, flavors, preservatives or sugar alcohols. 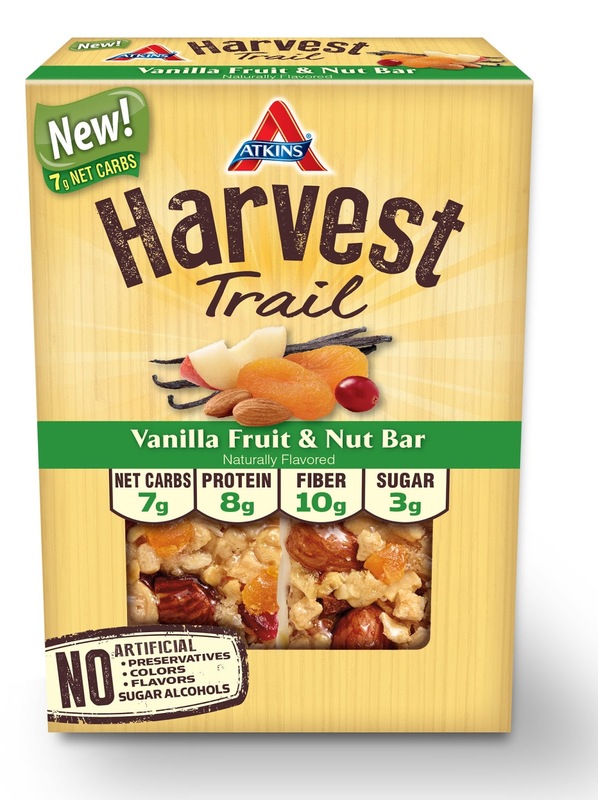 With the demand for simpler ingredient bars on the rise, Atkins responded to consumers’ needs by creating the Harvest Trail Bar line that is a perfect option for anyone who wants a snack that is low in sugar, and a great source of protein and fiber. Atkins Harvest Trail Bars offers consumers the goodness of protein and fiber while keeping net carbs and sugars in check. Each snack bar contains less than seven grams of net carbs and less than four grams of sugar! These bars really taste as GOOD as they look and I love the simple ingredients but tasty flavors. There really is a bar for everyone whether you like chocolate, fruit or nuts! Plus, I love how much protein each bar has so it keeps me feeling fuller longer!